Are there any techniques for concentration? It sounds easy to concentrate, but there are individual who have difficulties in concentrating. Here's an easy concentration technique for them. Concentration is an elusive state of mind. Ironically, the more you think or worry about concentration, the less you're concentrating on the task. Sometimes, you are confused about the difference between concentration and meditation. Meditation is a self-directed practice for relaxing the body and calming the mind. We believe that meditation techniques came from religious sectors in India, China, Korea and Japan. Concentration is a technique or an action to focus on one thing in mind. How to know or distinguish concentration? In the midst of the playing cards, take about 6 cards, and tell your friend to choose one of those cards and let him remember the number. Your friend is now concentrating to remember one card he chose. Now, your friend can remember none of other 5 cards. It means that your friend concentrated on one card. This is concentration. It is essential to do sport, work, study and many other things. Concentration perhaps is a MUST for everyone of us unintentionally to satisfy daily living. Let's take the simple case of your schoolchildren who do their homework. "Hi, children, it's examination soon. You must concentrate more on your homework." Your children maybe just wandering how to concentrate for their homework. Here, we tried to investigate how concentration occurs in the brain. At first, we requested an abacus champion to calculate a five-page accounting sheets in a schoolroom. When he started hitting the abacus, rock and roll music was played aloud, but surprisingly, the champion appeared to be not noticing the lousy music around him. It means the abacus champion was really concentrated calculating with the abacus. Another instance was prepared. A famous magician was invited to a small room in a hospital. Three doctors were invited to see the magic. The doctors were told to find the trick. While the magician was performing at the stage, a nurse with a white pig passed through, then the nurse with a monkey passed through, and then three nurses passed through. However, when we asked about nurses passing through the stage, the three doctors did not notice them at all. The doctors were indeed concentrating to see the trick of the magic. The abacus champion and the three doctors were able to concentrate easily. Or they were made to concentrate simply without any form of suggestion. Yes, concentration is born simply. Truly, anyone is made to concentrate simply. It is just a matter of a simple technique or brain system that triggers concentration. 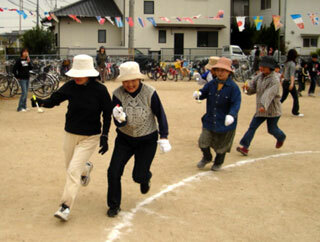 For you to believe, let's try to make an "Egg and Spoon Race". You can understand that all runners are concentrating not to drop the egg from the small spoon. 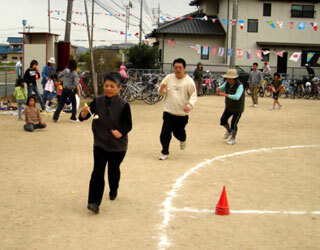 However, when the loud speaker announces a certain story of a particular runner, the addressed runner dropped the egg. It means the runner's concentration was broken by the disturbance of the announcement. We have learned that our brains will work very narrowly when we concentrate. Our brain consists of several parts such as for accounting, memory, viewing, and listening. When we concentrate, only the selected part of the brain works. The people who cannot concentrate usually try to listen or hear as much as possible. Yes, the ear, hearing or listening noise could be the number one disturbance when concentrating. What is the technique to eliminate such noise or obstacles when you want to concentrate? We visited a toy manufacturer that has tremendous number of productions and all workers need serious concentration. A mistake or poor quality control will create a huge amount of loses in the production line, thus, high concentration of all workers are required in the factory. The manager of the factory told us that women have higher concentration ability than men. For that reason, the factory has applied all women workers in specific department. The factory is constructed with soundproof materials with several speakers mounted inside the ceiling. No music sound comes from the speakers but sounds of stream, seaside, and sounds of forest. They are all sounds of nature. From this, we understand that the sound that has nothing to do with workers can make them concentrate. The sound that creates them to think something like what happened during the egg and spoon race will disturb and make them hard to concentrate. The sound technology for concentration has been applied quite a long time ago, especially in various offices in major cities in Japan. Of course, these sounds of nature make people tired, too. How to eradicate such fatigue is also thought. It is very simple. Just let workers answer test questions in a paper, which will be delivered by the supervisor. Questions are so simple, such as writing down your birth date, mailing address, and names of your family. This simple act of insertion will create better concentration according to the office management. Today, most factories and offices use computers. Concentrating on the monitor or screen will make some people dizzy or sleepy. The supervisor will bring them a paper to answer the simple test questions probably every one hour or two. In this way, concentration skill increases according to the management. Of course, the sound of nature keeps flowing from the ceiling. From the above, you can surmise that it is important not to let your brain work on other obstacles or noise other than what you have to concentrate. This is an important point for those who cannot concentrate easily. Probably, the following are also clues for concentration techniques to switch the brain "ON". For example, set a goal like..."If I'm able to concentrate well on this work, I will go to a restaurant to eat what I like" or "The school examination is coming, I will surely pass". Before concentrating, relax and do not put yourself in place where your ears, eyes and interest will go around. Do a few times of deep breathing. Drinking a cup of tea or coffee is good. Taking a bath or shower is also good. All these preparations will trigger the brain "ON" for concentration. Concentration makes us tired. It is the reason, as mentioned previously, that you write your name, address, and names of your friends during some hours of interval. By doing it, your concentration skill will increase. There are Japanese temples where they teach Buddhism way of concentration and meditation. However, some supervisors of large factories told us that their methods are not applicable to their works. Technique of concentration differs on the place you apply. How is your idea, then?